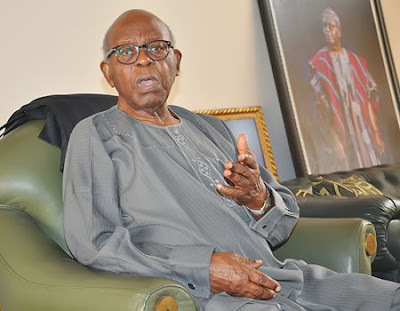 In the early hours of Thursdays November 4th, 2016 the news of the passing unto glory of one of Nigeria’s gifted legal luminary and elder statesman, Sir Olanihun Ajayi (KJW) rented the air across Nigeria. Since his demise, there have been several tributes in his honor from eminent Nigerians including the Governor of Lagos State, Mr. Akinwunmi Ambode. 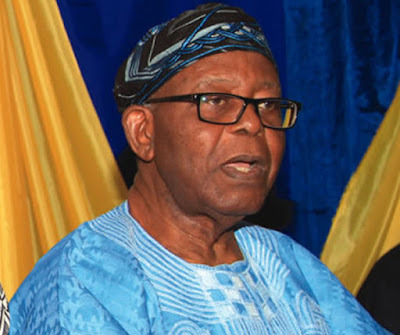 Sir Lanihun Ajayi, 91, apart from being a lawyer of many years standing, he was for many years one of the leaders of the Pan Yoruba socio-cultural group, AFENIFERE. His law firm is one of the oldest and modern in Nigeria. When you drive around Banana Island, one of the most expensive neighborhoods in Victoria Island—Lagos, there stands this towering high-rise called The Adunola owned by Sir Olanihun Ajayi KJW named after his wife. This high-rise houses one of Nigeria’s top 3 distinguished law firms. Olanihun Ajayi LP was founded in November 1962 by this London School of Economics trained legal icon. The late Sir Olanihun Ajayi has established a reputation for more than 50 years. His law firm is particularly proficient in the area of corporate and commercial law, and act on a wide range of matters relating to financial law, domestic and international capital market activities, joint ventures, mergers and acquisitions, project finance and insolvency. Aside from law where his name will forever be etched in gold letters because of his monumental accomplishments, Baba Lanihun was also at the forefront of politics. He was a former Commissioner for Education, and later Commissioner for Health in the defunct Western State. He is a highly respected elder statesman who has never soiled his name. In a latest tribute written by one of his social sons, Barrister Abiodun Aikomo Papa was described as ‘a father, a visionary, a bridge-builder, a peace-maker, an architect, a helper, a Christian, a servant leader in every sense of the word, an encourager, an entrepreneur, an administrator, a politician, a farmer, a song composer/band-leader/choirmaster, a political scientist, a human right activist and freedom fighter, an eminent historian, a philanthropist, an organizer, a teacher of teachers and a lawyer of lawyers. Before Baba turned 90 in April 2015, Baba opened his rich library inside his Isara-Remo palatial home in Ogun State (South Western Nigeria) to CITY PEOPLE Magazine and gave what seems like his very last interview on planet earth. Your Africa’s number 1 Celebrity Encounter blog, Asabeafrika brings you the interview for read. Enjoy the excerpt as Baba talks about his life in law, corporate Nigeria, politics and why Nigeria as a country is faulty. You are 90 but you don’t look 90, what is your daily regimen and diet that has kept you healthy and fit? I wake up early in the morning and say my morning prayer. After that I take breakfast and I might go back to bed from 9am till about 11 am. I have massage therapists who come once a week but I still do exercises. I eat twice daily. In the morning, it could be Cornflakes, yam, cooked beans or moin-moin and eko. As for drinks, I like cold juice and I drink lemon juice every morning. These days I am too busy, so, I hardly have time for siesta. I just submitted my six books to the publishers. Your sojourn in life started in 1925, can you take us back to your roots; family life and upbringing? I was born here in Isara Remo on Wednesday 8th, April 1925 to Benjamin Awoyemi Ajayi and Marian Efundolamu Ajayi. My father was a farmer and my mother assisted him by selling farm produce. My parents had me at a late age. Dad was about 40 years old then. My Mom was first married to another man with whom she had 8 children, and none was a boy. So, she married my father from Isara. When I was born, she wrote my birth date in a book. She did the same when my younger brother was born. My father did not even pay attention to what my mother did then. There was a time I started guessing my age to be 1924 or 1926 until when she died and one of her children gave me the book where she wrote the dates. On a page in the book, I saw a portion where she wrote ‘Olaniwun was born this day, April 8, 1925’. What Secondary School and University did you attend? I didn’t attend a secondary school, but a teacher’s training college—Wesley College—where I was trained as a teacher and supervisor. My father became a Christian when Methodist Church was established in Isara on 11th December 1893. Though he was not educated but he was a famous man and associated with people in the community who were slightly educated. He was very keen about my acquiring education. He wanted me to go to school but there was only one school owned by the Methodist Church known as Wesley School. After leaving Wesley I became a supervisor of schools for the entire Remo and Ijebu province. My wife and I then decided that I should travel to the United Kingdom. It was at the London School of Economics and Political Science that I studied law. I also studied to be a chattered secretary. My wife joined me in the United Kingdom and she studied Hotel and Catering Management. We returned to Nigeria in October 1962. As a sage in the legal profession, at what point did you start your career? In 1962 when I started, I was with a man called H.A. Odufalu. 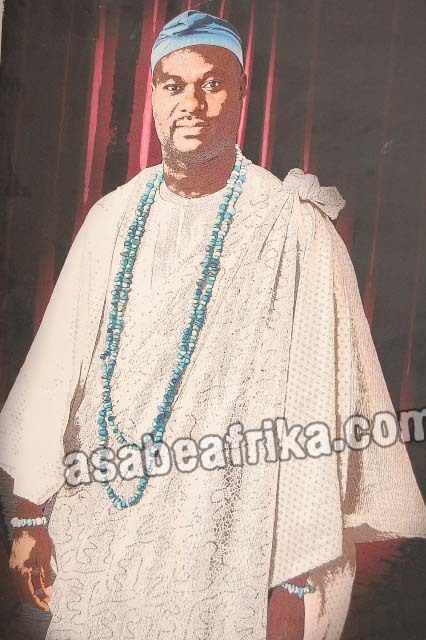 He had his chambers along Igbosere Road in Lagos, nearly opposite the High Court of Lagos State. So, I was working with him as one of his juniors. But then, because he wasn’t paying me any reasonable salary, I took time to go to court on my own. I remember on Mondays, I will go to Ikeja Magistrate Court to take overnight cases—People who are arrested in the evening of a day and put in custody for stealing or fighting or whatever. So, in the morning they will be brought to court, and then one of them could hire us to get a bail for them at that time. Then on Tuesdays, somewhere I don’t remember now. But on Wednesday, I will come to Sagamu, again, I will start with overnight cases. On Thursdays, I will go back to Lagos—one of the magistrate courts. This was just a means by which I could make quick money. And also, on Thursdays, I will go to Ajegunle again to take overnight cases, it was sure you will get something to do. But the question of ‘owo’ (Money) would arise because that is the whole purpose of my going. Then on Fridays, I will stay home. After sometimes with my boss, it was then I decided to start Olanihun Ajayi & Co. Actually the day I was enrolled in the Supreme Court as Barrister-at-law, Solicitor and Advocate, that was 2nd of November 1962. That was the day (Chief Obafemi) Awolowo was charged to court for treasonable felony. I was to be among the lawyers to defend him. But the lawyer who should defend him was the person who should present me in the Supreme Court of Nigeria. Therefore, he got one of his friends to present me to the Supreme Court so that he could follow Chief Awolowo to the High Court. I couldn’t join them; it was after the court was over that I joined them in the afternoon after I had been enrolled in the Supreme Court. Then, of course, I later went back to my boss, practicing with him. When I was doing that, the income was very small because I already had 4 children (2boys, 2 girls). The first two—a boy and a girl—were staying with my mother-in-law. Then, the next two, one was about 5 months old; the other was about 3 and half years. Then, when we returned from England, they joined us. 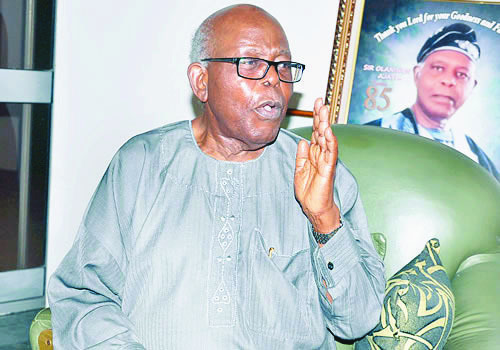 When I started Olanihun Ajayi & Co, we were only two in the office—myself and my typist. Later it became I, typist and messenger. I think that was how we were at the time.  But in the meantime, I saw an advertisement by UAC, asking for those discerning for employment as assistant group legal adviser. I applied and they took me. Chief Earnest Shonekan was my junior in the legal department of UAC where I worked for 6 years. I performed my duties very well in the company but my boss did not like me. I guess he felt I was becoming a threat to him whereas he was 3 to 4 years older and 10 years my junior at the bar. He didn’t like me being his assistant. Within one year that I joined UAC, my salary was being increased every half year. Therefore, he didn’t like me. And I was very confident. And because of my efficiency, the chairman/assistant chairman would always welcome me to their office. Whenever there was going to be a meeting of the subsidiary companies, it was me who would go with the chairman/assistant chairman to the shareholders’ meeting or board meeting. These were the things my boss didn’t like. He thought I was just too exposed to these people and the situation made me to resign. I started Olanihun Ajayi & Co on 2nd of November 1962. I was called to the British Bar on the 17th of July 1962. I became Barrister and Solicitor of the Supreme Court of Nigeria in November 1962. I was called to the Lincoln Inn. After resigning from UAC, what did you set out to do? Nine months after my resignation from UAC, I was invited by the then Governor of Western States, Brigadier General Christopher (Oluwole) Rotimi, to serve as Commissioner for Education. Some two years later, I was appointed commissioner for health in the same Western State. I signed a bond with him that I will quit after three years and when it was time (After 3 years) I told him I was leaving. The Governor convinced me to work for some more years but my mind was made up. After leaving, I went into private practice as a lawyer. Can you talk about your most memorable matter in court? It was a criminal matter of one man who had qualified for prison because it was not a good case. But somehow, I handled the matter to my own satisfaction and of course to that of the judge who discharged and acquitted him. Asiwaju Bola Ahmed Tinubu....The New Yoruba Leader? Having served as commissioner in the Western Region, what would you say is Nigeria’s fundamental problem? The problems in Nigeria are deep. It was Lord Lugard who separated the South from the North for over 25 years. 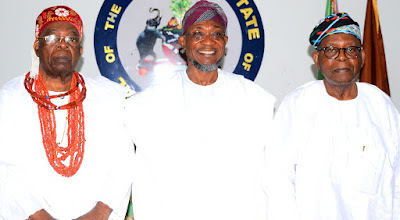 The north did not join the South in the governorship or governance of this country until 1947, having separated the two sides for a period of about 25 years; they made sure that they ruled. They made the North to rule the country and the aftermath of their rule is what we are seeing today—corruption, animosity, suspicion, disaffection, instability in Nigeria. After all, before 1914, we were not one, we were different countries. 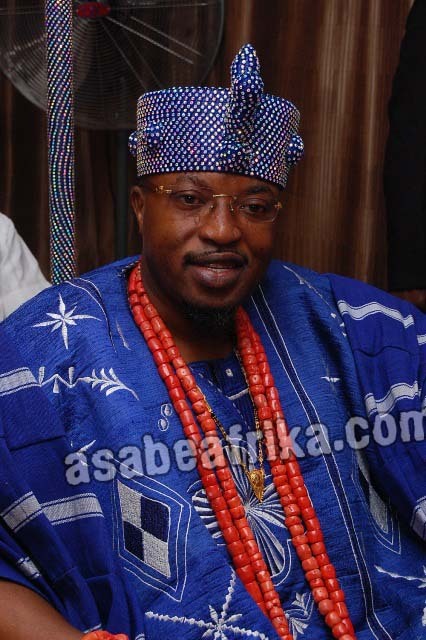 We had the Oyo Empire, the Benin Kingdom, Sokoto Empire, Ijebu Kingdom etc; they were what we had at that time. 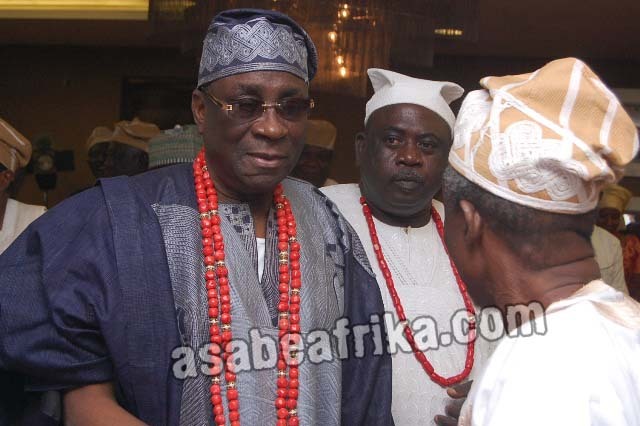 HIM, Oba Rilwan Osuolale Akiolu, the Olowo Eko and Oba of Lagos....Can he carry the cross of leading the Yoruba race? It was Lugard who put us together. We were just like Yugoslavia and the USSR. In Czechoslovakia, there were two dominant nationalities and there was no love lost between them, until their leaders met and said they could not continue like that. Eventually they met and agreed that the Czechs should return to their sides and the Slovaks to their own side, and there was peace. The book I have just completed shows everything—all the important secrets from when we were parts of the British Protectorate—from 1925 till 1964. For this book, I had to buy 9 books and got relevant parts—like how bribing started in Nigeria. Nigeria is today just as she was in 1960. Take a look at Singapore, a very small country which today has one of the best airports in the world. We are not able to get up and move like Brazil, India or China because we are not properly constructed. It is in Nigeria they keep killing their leaders—they killed Bola Ige, nobody questioned them. 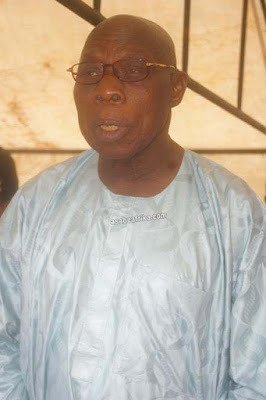 Chief Mathew Aremu Olusegun Okikiolakan Obasanjo....The Real Yoruba Leader? Talking about Nigerian politicians, how would you assess them? In the first place, we do not have true politicians; we only have self serving people. In Nigeria, you will see people begging for money around while some are busy stealing billions of Naira into their pockets alone which is very stupid. The owner of the money is going to take away the money from them. Nobody is bothered about whether the Primary Schools in their areas are conducive to learning or not. They are not also bothered whether the hospitals in their localities are working as they should be or not. I can only implore them not to invite disaster in 2015 (Last Year election). 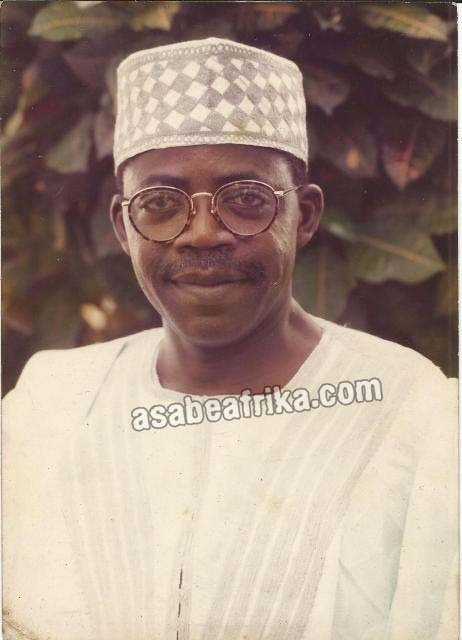 In Awolowo’s time, there was ideology and political ideal. Today, there is no ideology. People jump from one political party to another for no reason other than for monetary purpose. People will defect from APC (the All Progressive Congress) to PDP (the People’s Democratic Party) or vice versa for what they can gain. No ideology at all. There is no contract between the politicians and the people. That is a problem that we have. The fulcrums have run far away from the four corners. The dogs have gone far away; I doubt if they can hear the whistle of the hunters. There are governors that the citizens of their states have not seen for a long time. They don’t even care about the welfare of the people. HRM Enitan Adeyeye Ogunwusi, Arole Odua and Ooni of Ife....Can he lead the Youruba? As Yoruba, we have a way knowing who are our leaders are, we know how to take one of them to be the leader of the Yoruba. Yoruba leadership is not anything that you can buy in the market, it is not because you have money therefore; you can become the leader. A Yoruba leader must be completely an Omoluwabi. That is very significant. Other Yoruba leaders will follow, obey, respect and revere him, knowing that his hands are always clean. You are also a prolific writer, what motivates you to keep writing even at age 90? What are you currently working on? HIM, Oba Abdulrasheed Adewale Akanbi (Ilufemiloye-TELU 1) Oluwo of Iwo....Can he be one of those contesting to lead the Yorubas? I have written 5 books. The first one is This House of Oduduwa must not fall. There is also the one edited by me titled Adunola: In retrospect. It is a compilation of tributes and speeches for my late wife. I also wrote, Nigeria: Africa’s failed asset? ; my autobiography ‘Lest we forget’ and Isara Afotamodi: My Jerusalem. I am not in Prison, so, nothing stops me from writing. My 6th book Nigeria: Political Power imbalance—the bane and chain-down to our advancement took me about 1 year to write. The launch would be part of activities for my birthday if the book is ready by then. What is the fondest memory you have of your beloved wife, Lady Adunola Ajayi? It is that we were together for nearly 60 years and I do not remember ever having any moment of exchange of hot words. She did what I wanted and never did anything I disliked. She hailed from Sagamu in Ogun State and that was where we met while we were both teaching. She was a special gift from God to me. Since her demise in 2007, how have you been coping? Did you consider re-marrying at any point? She died when I was about 83 years old and of course I miss her so much. Why will I consider re-marrying? Never, I have excellent children, 2 boys and 2 girls. The first two (A boy and a girl) are medical doctors while the last two (A boy and a girl) are lawyers. Why should I get married again? For what? I have 2 cooks, stewards, security men and 3 gardeners. I am very comfortable with them and these people add value to my life. You are much vested in the Methodist Church of Nigeria and your son, Professor Kayinsola Ajayi, SAN is a chaplain in the church. What influence has religion had in your life? Religion has a very good influence in my life because every day, I realize more and more who God is. For my birthday, there will be a thanksgiving service at the church here. And already, I have bought a number of gifts—worth millions—for the church. ‘Be right with your fellow man’. You must be right with your fellow man. If you are right with your fellow man, you will be right with God. And if you are right with God, He becomes your friend. He will listen to you and He will do what you want him to do for you. At 90, what is the biggest lesson life has taught you? That is a tough question. One thing I know for sure is that serving people is the greatest religion you can ever have. Service is religion to me. What has been the best time of your life? The day I was called to the British Bar. I felt on top of the world. I attended the London School of Economics but that will not make you a professional. But that I became a barrister-at-law, I felt on top of the world. And I developed a lot of confidence in myself and I felt that there was nothing under the sun that I could not become. Provided the will is there, if I want something, I will get it. So, it doesn’t matter who you are, it doesn’t bother me. I don’t feel envy or envious of anybody.